​Update: As of April 2017, bookings are required for many South Australian National Parks. You need to book your campsite and pay for it prior to departure. To check to see if you need to do so, you will need to check the following link and make all payments via this link. Based on this new rule, some of the following information may have altered since we first visited and reviewed. 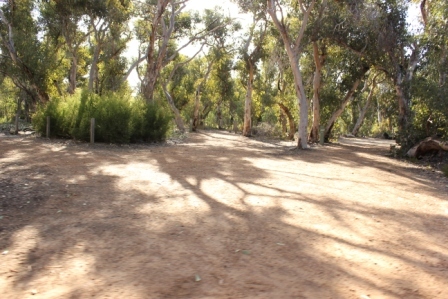 We visited two of the main campgrounds located in Flinders National Park in peak time. A short drive from the Flinders Chase National Park Information Centre and Cafe, lies Rocky River. It is a group of campsites, suitable for caravans, trailers and tents, but the sites vary in size and are clearly designated. For some campers, your site might be a bit squeezy. It was peak time, so we thought we would never see an empty spot, but surprisingly over half the campground appeared empty. 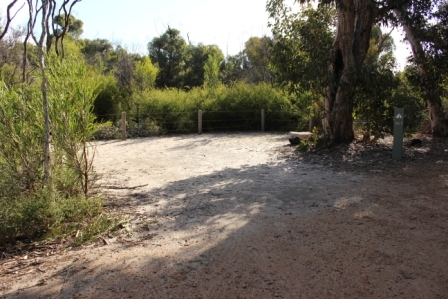 Each campsite seems to be well screened and it reminded me in terms of how it is designed, to be similar to Innes National Park. There are toilets and showers (I believe they cost to use) and undercover area for washing up etc. This was a modern amenity block. The beauty in this campground is its presence within the park. The Flinders Chase Cafe is a short stroll away, and there you can get a good meal at reasonable prices. This is the only place to eat on the western side of the Island (KI really needs more places like it to cater for the volume of tourists in this part of the world). 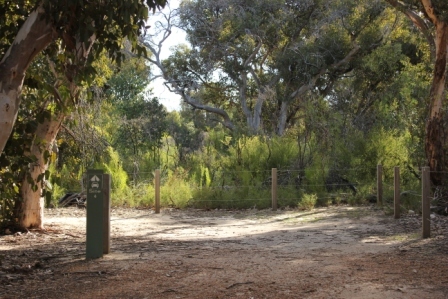 Once in Flinders Chase National Park, follow the signs that lead you to Snake Lagoon (around 9km from the Information Centre). There you will find the Snake Lagoon Walk and the campground. We were there in April and if the big dip in the dry ground was meant to be the lagoon – then that lagoon is empty! It looks extremely shallow, so with drought, it would not take long for that lagoon to go dry. The campground has 6-8 sites, and at Easter you would imagine at least ONE to be occupied. This was not the case. There was not one camper there when we arrived. The campsites vary in size, but most would be able to get a caravan/trailer in them. Each site is clearly marked and has not a great deal of privacy (or none) between each one. Shading varies between sites but overall, it is quite good. Toilets available. If the lagoon had water, maybe it could be attractive. Maybe. But what we saw was a dry dustbowl with no redeeming features. Others have raved about the beauty of this location, so we must have come at a bad time. It just didn't appeal to me, but if I was out that way again, and in cooler weather, I would want to see this site again - and I might find it more attractive. Who knows! The Snake Lagoon Hike is nearby and that is where all the visitors were headed (this walk is a rocky walk suitable for those with average fitness – it leads down to the ocean).